Ms Jody Ross – Dip DH RCS Ed. Jody joined VisonPerio in August 2017 after a 16 year career within dentistry in The Royal Navy. Jody understands the need for interdental cleaning to go beyond the gum line and resolve persistent periodontal problems. Jody’s role is to promote VisionPerio to professionals, explain the unique properties and the research background to the brush. 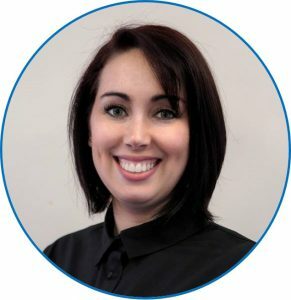 Jody supports the Marketing Manager, and Maggie by delivering a deeper understanding of how to eliminate periodontal breakdown in patients to professional such as Hygienists and Dentists. By training fellow professionals she helps them go beyond scale and polish or tooth cleaning to control gum disease (Periodontitis). You can often find Jody attending national dental exhibitions, conferences and visiting dental practices demonstrating the benefits of the VisonPero brush. Jody has two boys Elliot aged 7 and Jakob aged 2, two cats and a dog which take up a lot of her spare time but if she does have sometime to herself she enjoys drawing, crafts and retro fashion.